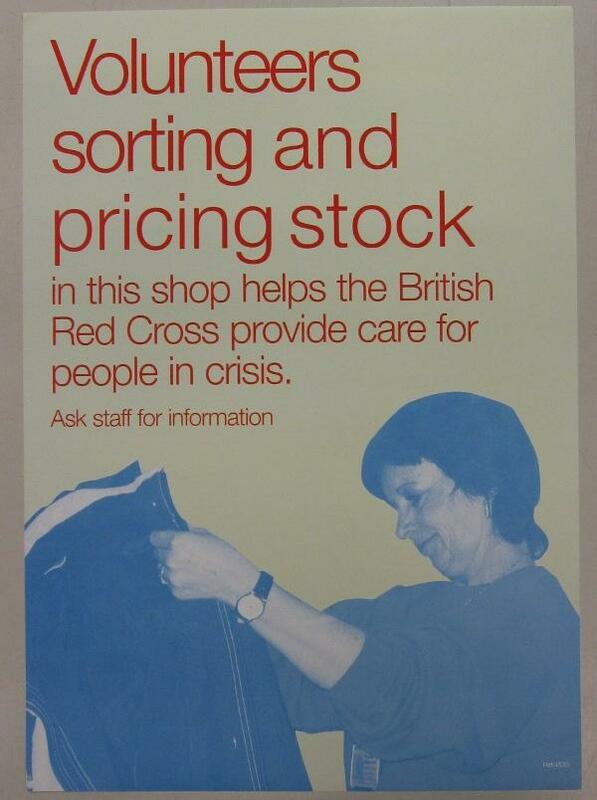 Poster used in British Red Cross shops. One from a set of 6 posters to be used in British Red Cross shops appealing for volunteers. Ref. 4533.